There is a part of the annual Academy Awards broadcast that I look forward to every year, the piece when they look back on the people the industry had lost in the past year. An audible sigh is heard as familiar names and faces go flashing by in the montage that is usually bookended by the biggest stars who had shuffle off their mortal coil. 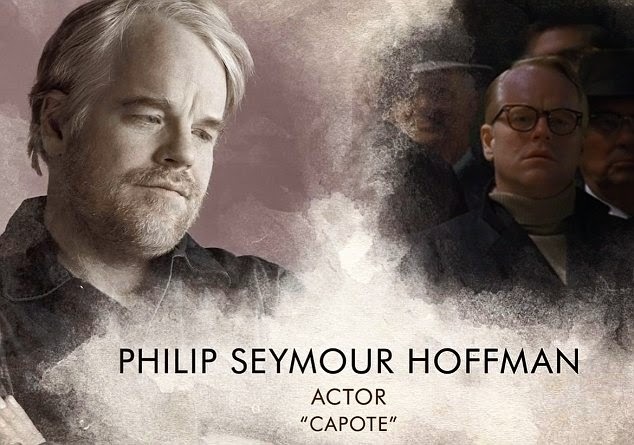 I have vivid memories of feeling quite emotional over the years as we said goodbye to luminaries like John Candy, Jimmy Stewart, Frank Sinatra, and many others, including Philip Seymour Hoffman who closed out the segment this year. 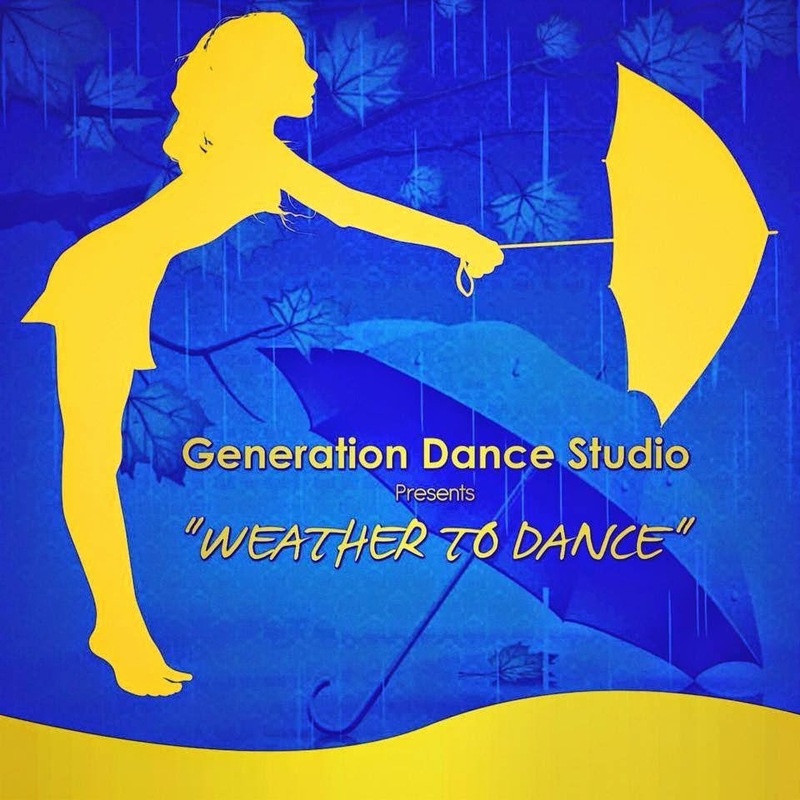 During last night's year-end recital for Generation Dance Studio, titled "Weather to Dance", they had a farewell piece of a different sort, highlighting dancers who are about to graduate from Grade 12 and head off into the world. I found myself wiping tears out of my eyes a number of times, especially as fellow cast members from Hometown...The Musical! were honoured. The presentation took us from when each of the seven graduates started with GDS - terribly cute pictures with bright, optimistic smiles - to their grad portrait. Seeing Nicole McMillan, Kayla Barrow and Julien Naud in that context inspired my eyes to fill with tears, feeling a sense of foreboding loss as they move on to new and exciting things in their lives. I'm sure my friend Sherry Duncan felt similarly as her beautiful daughter Gabi was featured, as did the parents and friends of Abigail Praught, Rhyanna Slobodian and Jacelea Reece. I should have brought Kleenex, I wrote on the Facebook wall of Kim Hurley after getting home. It was a lovely segment, as was the entire presentation, separated into a number of sections by wonderful (and creative) GDS Weather Reports by the talented Melinda Stepanowich. Even though I'm not the biggest fan of ballet in the world, I especially enjoyed the interpretation of The Wizard of Oz. The casting of Nicole as Dorothy, Julien as the Scarecrow, Jon (Cestnick) as the Tin Man and Kayla as the Lion was brilliant. Victoria (Naud) was glorious as Glinda and Ali (Lalonde) was frighteningly wonderful as the Wicked Witch. Watching the littlest dancers is so much fun. They come out in their costumes and give it their 100%, just so damn cute. I was especially proud to see Renee's daughter Summer up on the stage. Years from now, many of those youngsters will be featured in that graduation segment and "Weather to Dance" will be a distant faded memory. Piper McLean was honoured as Dancer of the Year. What a fireball! Her facial expressions, energy and dance moves are unforgettable. It felt like coming home, watching "Rain" as the closing number of the show. I had seen it several times at the Northern Dance-off. There is something magical about a big group number, spinning umbrellas and bright yellow raincoats. I'm certain it was a whirlwind of activity behind the scenes, a crazy cacophony of costume changes, props checks, and frantic whispers of "Where's so and so". But to the audience, everything flowed smoothly, like crystal calculated clockwork. It was a wonderful evening of dance from top to bottom.